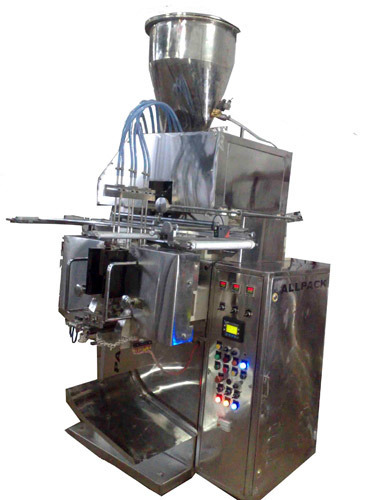 As the name suggests, our range of high speed pouch Liquid Filling Packing Machine are equipped with a high production capacity thereby saving a lot of time in the production process. Producing up to 28,800 pouches per hour, this high speed pouch packing machine can produce 4 side seal pouches for liquids, in a many sizes ranging from 0.5 ml to 100 ml. Especially designed for packing liquid, semi-liquid and pastes, these high speed machines give a cutting edge technology in the packaging industry leading to an approximate of 10% saving on laminate.